A little over a week after profiling Jonathan, there is an update. Jonathan is currently in the county jail for stabbing another teenager. According to a According to the Child Welfare League of America, 27 percent of male children who age out of the foster care system end up in jail. Jonathan has quickly become another statistic. 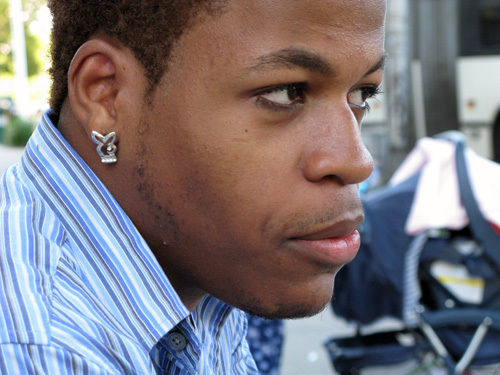 At seventeen, Johnathan was emancipated from the foster care system. “Until you can learn to live with yourself, you can’t live with nobody else. Especially when you’re young and out there on your own with no support, no family, no motivation. He’ll probably be at Covenant House another two weeks. “I can’t stay. I can’t. I can’t. Cause, it’s like, and if you read about the indigo children, it’s like I’m searching for something. Something big is coming. Like I said, I don’t know how I’d be if I was with my real mother but right now I’m where I want to be. Interviewed on the streets of Newark during a night of Outreach to the community.